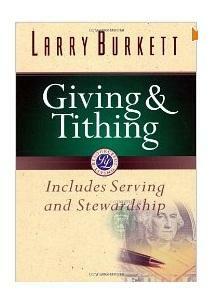 When you look at tithing, you see it before the Law, during the Law, and after the Law. This seems to establish a solid case to continue tithing as a principle for the Church. But should all these occurrence of tithing be used to support a universal tithing principle? There are five other ordinances that were also practiced prior to the Law but were torn down with the veil during Calvary – the Sabbath, clean animals, sacrifices, circumcision, & slavery. Let’s examine these four ordinances to understand why tithing was the only the law that found its way into mainstream, Church practices. I play the devils advocate in this post, so please keep in mind that i’m not trying to convince you to obey these five ordinances; I’m just trying to prove that there’s less biblical support to obey tithing then there is to obey these other five laws that appear pre-Mosaic law, during the law, and in the New Testament . The sabbath was ingrained in the fabric of the universe. If there is any law that should sustain its place in the Church’s totem pole of universal principles, the sabbath should be it. Wouldn’t you think? The bible says that God, “sanctified” it, which means to make holy. Most of us are familiar with the 10 commandments, and also realize that the Sabbath was included. We continue to honor the other 9 commandments that were also written on the same stone, but we’ve managed to chisel out this commandment without blinking an eye. Some advocates fight long, hard, legal battles to post the 10 commandments in public places; but we’ve forgotten that the law has been fulfilled, or we’ve decided to publicly post our hypocrisy because we plainly dishonor the fourth command. Hebrews 4:4 reiterates the meaning of the Sabbath. If you are not getting it yet, the Sabbath is suppose to be honored on Saturday, not Sunday. Colossians 2 does not say anything about stopping it. In the New Testament, there’s no command to stop the Sabbath, but we do see a few examples where people met on Sunday to worship God. The funny thing is that tithing mirrors the same formula in the New Testament because there are no commands to stop tithing, but we do see examples of freewill, Spirit-led giving. The Sabbath was embedded in the very laws of creation and reiterated long after the crucifixion. We even see literal examples of Paul honoring and practicing the Sabbath in Acts 13, 17, & 18, as well as Jesus teaching on the Sabbath. Tithing was not introduced in creation nor was it written in the 10 commandments, nor do we see it practiced by Paul or Jesus. Yet we defend tithing as if it was inserted as an eleventh commandment, created on the eighth day, and given by Jesus and Paul in an inspired epistle. Summary: The Sabbath began during creation, and was sanctified. It was one of the 10 commandments. It was honored by Paul and also by Jesus, and there is no command to stop it. If you are not familiar, that passage is talking about Noah separating the clean animals from the unclean. I feel that the clean animal law is most similar to the tithing law in that there’s no command prior to Noah’s practice; just like you don’t see any command to tithe prior to Abraham’s tithing practice. Many feel that tithing may have been a command prior to Abraham because of his intuition to automatically give it, so should we assume the same about clean animals? It would seem that Noah instinctively understood it was a command. Yes, i have posted this verse on purpose to insert a little irony, because this passage comes a few sentences prior to the mention of tithing. 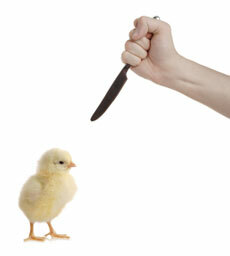 There are great principles to glean from the separation of clean and unclean animals. Many people have followed the Old Testament biblical diet and have benefited well from it. There are also spiritual principles we can glean from them as well. Are these benefits good enough to honor clean animals as a continuing principle within the Church? Maybe we should ask ourselves whether or not benefits are great causes to make tithing (or anything else for that matter) a continuing principle? Clean and unclean animals are also distinguished in Revelation as well. Revelation 18:2, “Fallen! Fallen is Babylon the Great!’She has become a dwelling for demons and a haunt for every impure spirit, a haunt for every unclean bird, a haunt for every unclean and detestable animal”. I would consider it a strong sign if i found a law written in Genesis and then confirmed in Revelation. I’m not trying to confuse your beliefs about clean or unclean animals here, but if i were to follow the laws of tithing instead of following the laws of clean animals, i would be doing so with less biblical support. Clearly, the antiquity and longevity of clean animals in the bible supersedes the antiquity and longevity of tithing. Summary: It is the only law that is referenced at the beginning of Genesis and then again at the end of Revelation. The separation of clean animals contains examples of both natural and spiritual wisdom. Sacrifices were practiced so early that the bible has not made any mention yet of a priest, nor of clean animals, nor of circumcision. One thing to remember that not all the sacrifices and offerings were done for atonement of sins, or sanctification. Many offerings were just given as thanks to God. It was a harmless, freewill, non-legalistic action that represented their thankfulness towards God. Since we don’t have a priesthood that continues to offer earthly sacrifices, why must we continue tithing as if it still does exist? Most of us acknowledge that Jesus was announced as the ultimate sacrifice (Hebrews 10:12), which is a solid reason to cease animal sacrifices. Although we have no need for earthly sacrifices nor earthly priests, we are still bringing our tithe into something we think is the storehouse temple, and paying someone we think is the a resemblance of the priesthood. Let’s look at this in another way. Symbolically, Jesus holds two titles – He is both a high priest and also the Lamb of God. Not only does his dual status represent him as the sacrifice being presented but also as the priest receiving it. So if Jesus dual status does not require animals sacrifices anymore, how can his simple title as high priest require tithing? I don’t know? Maybe it’s okay to practice sacrifices and tithing without all the legalistic stuff attached? With Spiritual liberty, we don’t need to pay attention to all the details behind the tithing and sacrificial laws. We should be able to follow the examples that came before the law, and then mold them both to fit our culture. This should be okay with God. Summary: Sacrifices were offered prior to the establishment of a priesthood. Many sacrifices were optional and offered through one’s grace. God’s continuing priesthood does not command the continuation of sacrifices. This sacrament, established as an everlasting token from God, was ended in the New Covenant. It was a command by God to keep in remembrance he made with his covenant with Abraham. A covenant that we benefit from today. . . If you read in Exodus 12:48, you even see that when strangers were brought into the household, and wanted to become a native of the land and participate in the Passover, they had to be circumcised. I may be incorrect in my assumption here, but it would seem that even Gentiles were circumcised in this case. Many of the Old Testament laws restricted the Gentiles from participating in Jewish rituals, but circumcision was not one of those laws. My point is that this law didn’t just pertain to the Jews, it also included the Gentiles. This makes circumcision extraordinary since it was not constrained within the ‘physical‘ lineage of Abraham, but instead it was truly practiced within the ‘spiritual’ lineage of Abraham. In the Old Testament, Whether or not you were a direct descendant or a Spiritual child of Abraham, the tithes were only gathered from within the land of Israel. Regardless of the land owners faith, no tithes were collected from the Gentile land. Considering we are a part of the Spiritual lineage of Abraham, I must question how we find ourselves today practicing tithing and not circumcision? The strange part about circumcision is that it seems to have been relinquished within the Church, but the covenant promise that God passed along to Abraham seems to have continued to benefit us. Why would we inherit the promises given to Abraham but not inherit the everlasting token along with it? Once again we find Jesus in a conflict with the Pharisees. This time instead of tithing, it’s about the Sabbath and circumcision. The Pharisees were angry with Him about healing on the Sabbath, and Jesus asked them if they would circumcise on the 8th day even if it was a Sabbath? After Jesus’ rebuke, He does not command them to stop circumcising, or to to leave it undone. Why wouldn’t Jesus even give a hint that circumcision was irrelevant? Yes. There are passages in the New Testament that clearly eradicate this practice, but why shouldn’t we adopt this principle due to its beneficial qualities? 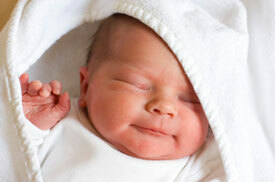 Circumcision is recommended for hygienic reasons and to prevent infections and diseases. Sure, there are alternatives to circumcision, but why seek out alternatives when we can just adopt such a simple practice for its clear, positive results? Maybe we adopted tithing because of its ability to pay bills or for its simplistic solution. Or maybe we adopted tithing because we thought liberty doesn’t open the door to alternative styles of giving. Maybe we’ve adopted tithing instead of circumcision because circumcision simply doesn’t bring money. . . Something to think about. Summary: Circumcision was connected with the promise to Abraham. Gentiles, who adopted the faith within the household of Israel, were circumcised. Jesus did not abolish it. It also has positive benefits. Abraham, the first to tithe, was a slave owner and slept with the slave to bear a son. Noah, even before him had literally cursed someone into being a slave. Exodus 22:3 Anyone who steals must certainly make restitution, but if they have nothing, they must be sold to pay for their theft. Here it is directly God authorizing and giving instructions on slavery. If slavery was unbiblical, why would Titus instruct slaves to be subject to their masters and obey them? Summary: If Slavery was unbiblical then why would there be a command in the New Testament to do something that was against God? Since the days of Noah, we can see that slavery has been an integral part of society. In all the debates over tithing, the most common defense can be summed up into one thought. Tithing came before the Law, was practiced during the Law, and was there after the Law. After comparing the tithe with the other five laws, you ought to be embarrassed if your argument is more powerful in defending sacrifices, clean animals, the Sabbath, circumcision & slavery than it is to defend tithing. Another law that had appearances before, during and after the Mosaic law were slavery was the leverite law, which required the nearest male relative to marry a widow. Maybe we’ll get into that another day. The Church, motivated by grace and influenced by the Holy Spirit, does not need a prosthetic tool to accomplish God’s will. The gifts of the Spirit were given to empower and equip us with the capabilities to accomplish our mission. God didn’t leave tithing in place so we could attach a pair of prosthetic training wheels. I’m not saying that tools are not helpful, but remember that tools are not part of our spiritual anatomy and cannot be required. The word ‘testify’ comes from the word we get ‘martyr’ from. If the Holy Spirit is capable of calling any man to the darkest region of the world, and risk his family and their lives; is He not capable of calling others to ‘testify’ of God through the simple task of giving? Last i checked, authors write books about those who gave their life, not 10%. Firstfruits and the firstborn are another common fallacy used to justify tithing……another shadow which is fulfilled in Christ. I believe that the root of the problem is the misunderstanding of who a Christian is. Because of this, the Bible is misused (not rightly dividing the word of truth). According to the 1998 Census on Religion presented by the United Nations, there 23,000 Christian denominations and they all believe differently in their interpretations on the Bible. There is only one body of Christ, one faith, one doctrine, one baptism, one Lord. A divided house will never stand. The gifts given to us by the Holy Spirit were also meant to bring unity to the body of Christ. What went wrong? I will try to explain. A Christian is a person who believes that Jesus Christ is the Son of God, and dedicates his life to following His teachings. The word Christian was derived from the word Christ. So, Christianity is centered on the life and teachings of Jesus Christ as presented in the New Testament and interpreted by Christians to have been prophesied in the Hebrew Bible/Old Testament. The first known usage of the term can be found in the New Testament, in Acts 11:26 where it states that “the disciples were called Christians first in Antioch.” The term was first used to identify people who were known or perceived to be disciples of Jesus Christ. Two other scriptures are Acts 26:28 and 1 Peter 4:16. The name Christian qualifies what flock and leader you belong to, or follow. It tells the world and other religions who you belong to and what you believe. To be a Christian disciple means that you act like Christ; think like Christ, walk and talk like Him. To say that a person is a Christian because he/she believes in God, is misleading and could be deceptive. When I was in college, according to the curriculum, a called certain text book was needed for a course. The book cost me $238.00, it had about 1200 pages and 62 chapters, but only about 12 chapters were used for the course. The other 50 chapters, though supported the subject matter, were not needed for that course. When we were preparing for the finals (judgment day), we asked the professor the usual question, “what’s going to be on the test, sir?” His answer was, “everything I taught you from those 12 chapters”. God sent Jesus with a specific word for this period of His Grace and told us to listen to Jesus because Jesus will be judging (final exam) us will be presenting us faultless before God (2 Cor. 5:10; Jude 1:14; . Therefore, let us find out from Jesus what is required of us to inherit eternal life. Why do we follow Christ? God instructed His prophets to tell His people that He was going to sent Jesus to lead them and that they must listen to Him. “For Moses truthfully said unto the fathers, A prophet shall the Lord your God raise up unto you of your brethren, like unto me; Him shall you hear in all things whatsoever he shall say unto you.” 18 I will raise up for them a Prophet like you from among their brethren, and will put My words in His mouth, and He shall speak to them all that I command Him. 19 And it shall be that whoever will not hear My words, which He speaks in My name, I will require it of him. 22 I will save my flock, and they will no longer be plundered. I will judge between one sheep and another. 23 I will place over them one shepherd, my servant David (type of Christ), and he will tend them; he will tend them and be their shepherd. 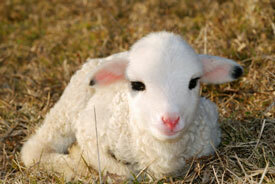 7Then said Jesus unto them again, Verily, verily, I say unto you, I am the door of the sheep. 8All that ever came before me are thieves and robbers: but the sheep did not hear them. 9I am the door: by me if any man enter in, he shall be saved, and shall go in and out, and find pasture. I am sure that some of you have played the game called “Follow the Leader” in which the leader stands in front of the line and the people that are behind him would imitate his actions. To be able to follow Him means that we need to read and understand His teachings. The question is; how can the Holy remind a Christian of all that Jesus taught if he/she did not read, learn and practice the teachings of Jesus? It is beneficial to know the entire Bible, but as Christians, we live by to words God commanded Jesus to give to us, thus securing our salvation and preventing further division of the body of Christ. 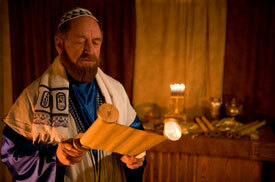 God gave Moses those laws and ordinances for that age but gave us His words through Jesus Christ for this age. As we learn more about Christ and follow Him, we are less likely to try to mix law and grace. Oil and water do not mix. So, what is our conclusion? Is tithing not good at all or the way Christians handled the issue is the problem? I need to know. The original posting was very interesting. Let me just say that I haven’t found a church yet that teaches all of the truth as I have been led to believe by the Holy Spirit. Although this is the case, I believe that it is important to be part of a church family so that we receive encouragement and are challenged in our walk with God to grow closer to Him. I believe that Saturday is the Sabbath and do keep this day as the holy day. I don’t think it is right for us to keep only 9 of them and totally ignore the 4th commandment. Keeping Sunday became a way historically for Christians to separate themselves from the Jews whom they came to dispise over time for crucifying Jesus and also to be more inclusive of pagans into their fellowship. I do believe that some foods are better for us than others, I think that was the principle behind the Levitical laws regarding clean and unclean animals. And as stated by Paul (I think), everything is permissible, but not everything is beneficial. I also believe that Spirit led giving is the proper way for Christians to give to the Lord. Saying that “Tithing is a principle” is missing the mark. The principle is giving in general, not a magic 10%. I have read the Bible from Genesis to Revelation and have studied giving in depth and do not find Biblical support for Christians to tithe. Thanks again for your post. My prayer is that we all can grow closer to God through the study of His Word as we are led by the Spirit. Well…. not to get into this one exhaustively, but most every theologian I know is NOT antinomian. Jesus says he fullfilled the law (as a means of rightousness to salvation.) Remember He also says, “I did not come to destroy the law…” Most see the OT law divided into three platforms- Civil, Ceromonial, and Moral. Respect for the general equity of the civil law is founded in the Apostle Paul proving ministers are due compensation when he says “you shall not muzzel the ox…” (the principles of the civil law, applied to NT believers), the ceromonial law clearly pointing to Christ (…the blood of bulls and goats could never take away sin…) and the moral law binding (clearly restated in NT and prophesied to be written on our hearts (Jer)) I really don’t know anyone who would assert the other nine are not binding (that is to say “sin” to disobey)- why neglect the 4th? Also consistant with great theologians like Owens, Edwards, Calvin, etc is a healthy respect for the new testament sabbath- reffed to as the Lord’s Day (“I was in the Spirit on the Lord’s day… (Rev)) . The same reasoning is why tithing is not commanded by the Apostle Paul. It’s clearly ceromonial in nature. We shouldn’t have to recreate the wheel on these issues. Godly men, like John Owen and Jonathan Edwards who have devoted their lives to the study of scripture have articulated these issues and come to amazing similar conclusions. Yes- be a Berean, but don’t be prideful (not you in particular- I’m just making a general statement) and neglect the work of these men God raised up for our good. Truly, tithing is a requirement and we should be obliged to return to YAH what is His. While there are no Levites to support today, there are plenty of ways that we can spend His money in carrying out the Great Commission. It is a sad fact that there is not a single denomination today that is adhering to the whole truth as it is plainly revealed in Scriptures. http://www.worldslastchance.com/ :) YAH bless!! !